If you are a blogger or media site, you can use our hyperlink feature to offer a free post of video instead of a discount! 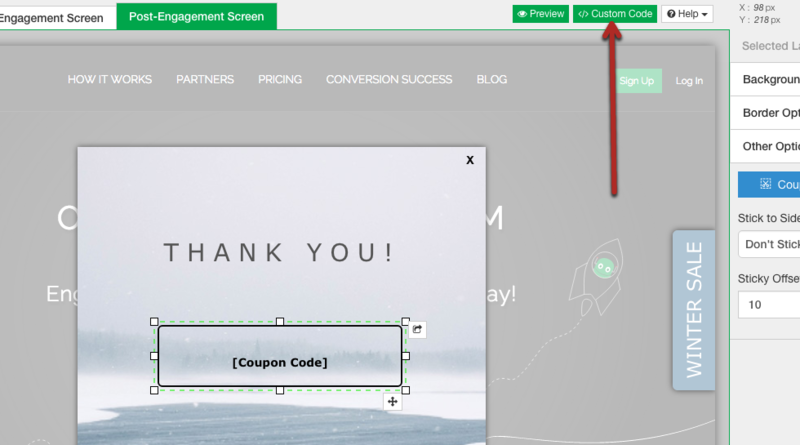 Sites who are trying to drive traffic to a specific page to buy can also use this feature in either a website messaging or lead capture promotion. Step 1: Choose which promotion you would like to alter and head to the actions tab. 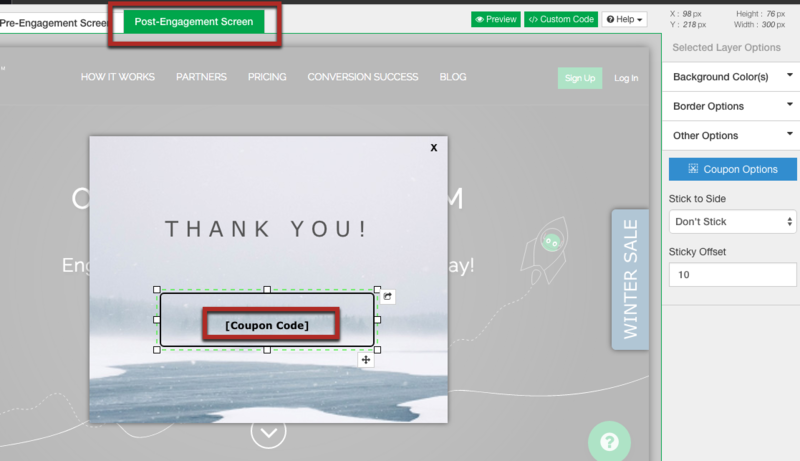 Then choose "Edit Design"
Step 2: When your in the design canvas, depending on if your using a lead capture or website messaging style promotion, head to the "Post Engagement" Tab and remove the [coupon_code] box. Step 3: Within the "short message here" layer or a separate text layer you added, highlight the text you would like to be used as a hyperlink. Head to the floating text editor and find the link button. Paste in the link you would like to be entered and hit ok. Step 1: Head to your design section by following Step 1 from Option 1. 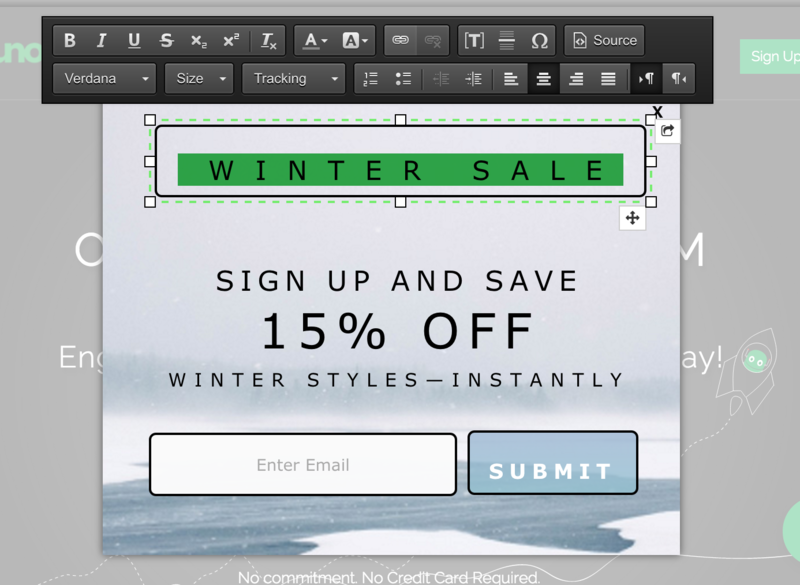 Step 4: Preview the overlay using the eyeball in the right hand corner of your design canvas and you're all set! Step 2: Find the "Link URL" option. Enter in the URL you would like the tab to send users and hit save and publish!